Not your average matzah pizza! 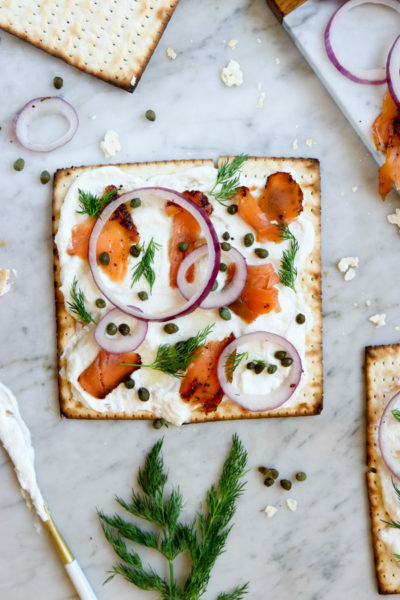 Lox and Horseradish Schmear Matzah Pizza is so epic you’ll eat it year round. I’ve said it before and I’ll say it again, I love cooking for Passover. Really! Pass the gefilte fish. Pass those jelly things. But seriously, I like the challenge. Usually, I just go bread free for the week (and not try to make sub-par Passover lasagna or Passover rolls) but there is always room for matzah pizza. It’s just the best. 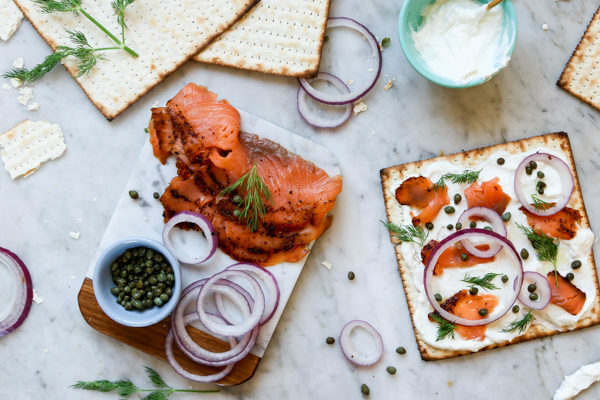 This Lox and Horseradish Schmear version is a step up from your usual Passover snack, and the best bagel substitute ever. 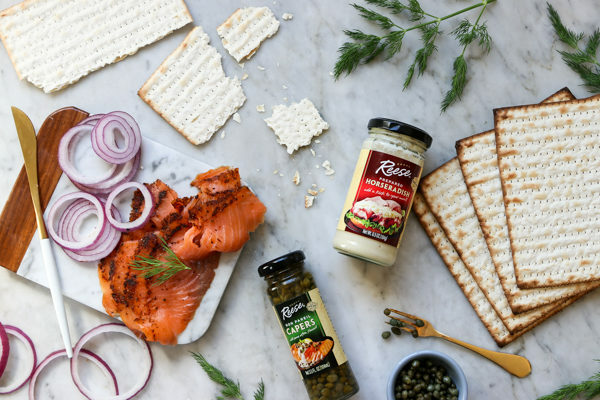 I partnered with Reese Specialty Food to take horseradish off the seder table and into regular rotation! 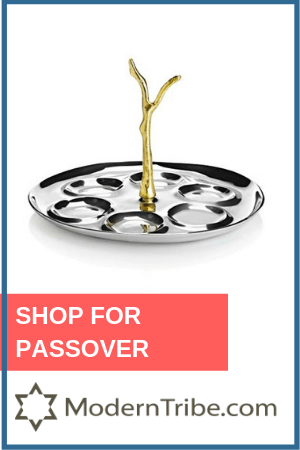 For Passover and beyond. Prepare to spread Horseradish Schmear on everything. 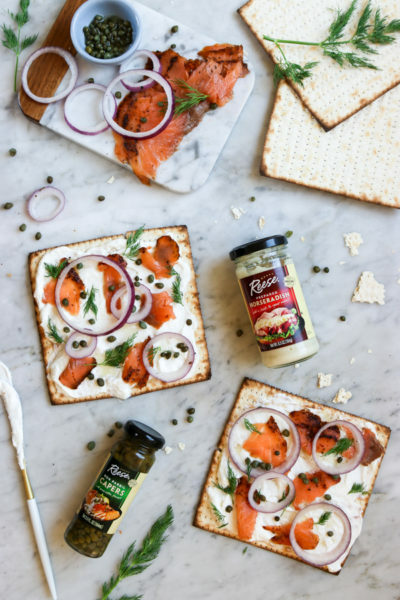 I love this recipe because it’s simple, delicious, would be perfect for breakfast or even a Passover appetizer and it’s beautiful too! 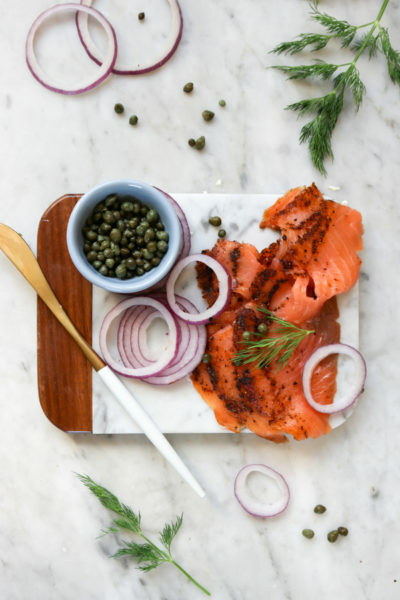 Smoked fish is 100% an aphrodisiac. Rour. But I may have to crack and bring these as an appetizer. I LOVE horseradish- turned into a steak sauce, a spicy mayo on a sandwich and now as schmear. 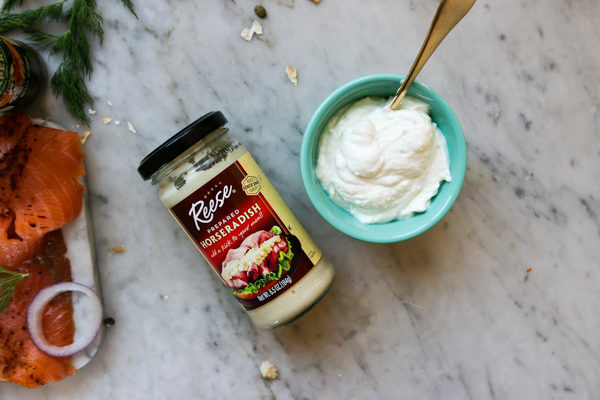 I hope you’ll try Reese Horseradish and Capers and you can download the Ibotta app to earn rebates too! Yayyy. Ta da! You can even make the schmear ahead of time and whip these up as guests arrive. They will gobble them right up. 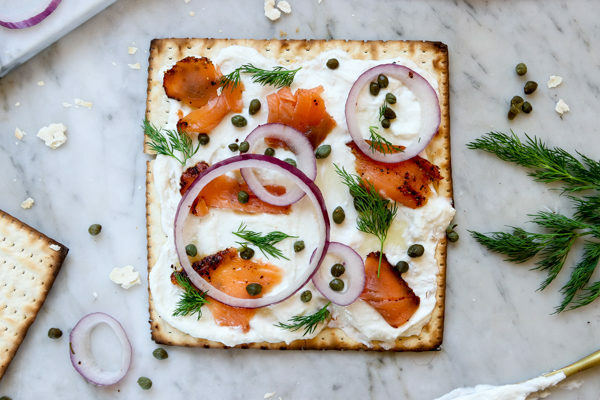 Not your average matzah pizza! 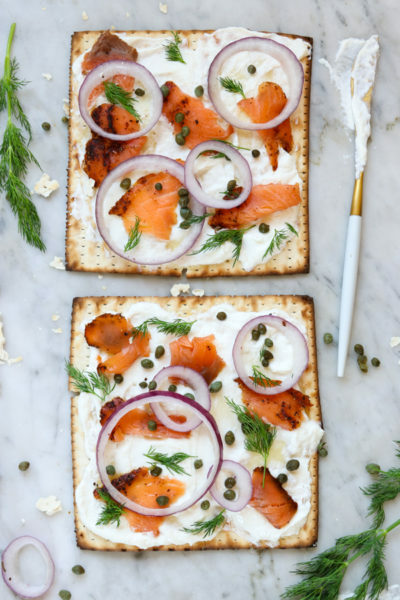 Lox and Horseradish Schmear Matzah Pizza is so epic you'll eat it year round. In a medium bowl, whip cream cheese and horseradish together with a hand blender until light and fluffy, about 2-3 minutes. Add in salt to taste. 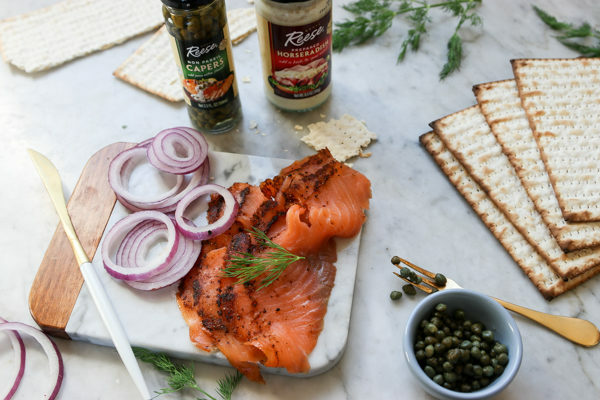 Carefully spread schmear on the matzah, and top with red onion, smoked salmon pieces, capers and dill. Eat right away! Schmear can be made up to 2 days ahead of time. This post is sponsored by Reese Specialty Foods but all opinions are my own. 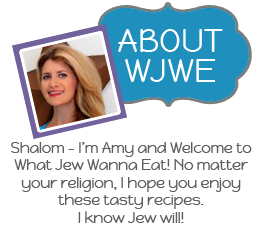 Thanks for supporting brands that support WJWE. Jew rock! 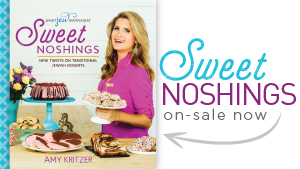 Another creative recipe from my favorite Jew food blogger. 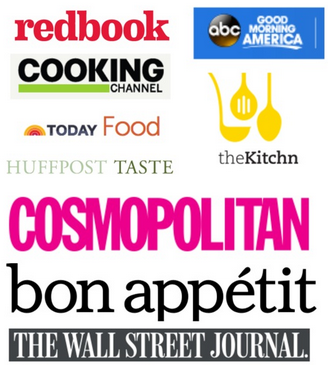 I think you could write copy for the people on the Food Network. 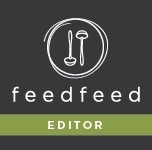 Your blog makes me laugh all the time. They could use some laughs on some of those Network shows. However, I just got done watching the kids baking challenge. It was a hoot. Mostly because of the unscripted things the kids said. Hope you have a meaningful seder or bread fast or whatever it is. Aw thank you! Kids do say the darndest things!